Phonostages are the essential amplification required to amplify extremely small and yet very complex signal levels from your cartridge up to line level. How well this is achieved is crucial to your enjoyment of your vinyl collection. There are two main types of phono cartridge available: Moving Magnet and Moving Coil. Their voltage outputs can vary widely, so it's a good idea to check the manufacturer's specifications or contact us so as to ensure complete compatibility and the best sound possible. Using Linn’s cutting-edge digital signal processing technology, Urika II now carries out the key process of implementing the RIAA curve in the digital domain. This brings you lower distortion, lower noise and more music. Transported over Exakt Link, the musical information that Urika II delivers is perfectly preserved until the moment it reaches your ears, delivering a musical experience like never before. That’s not all. 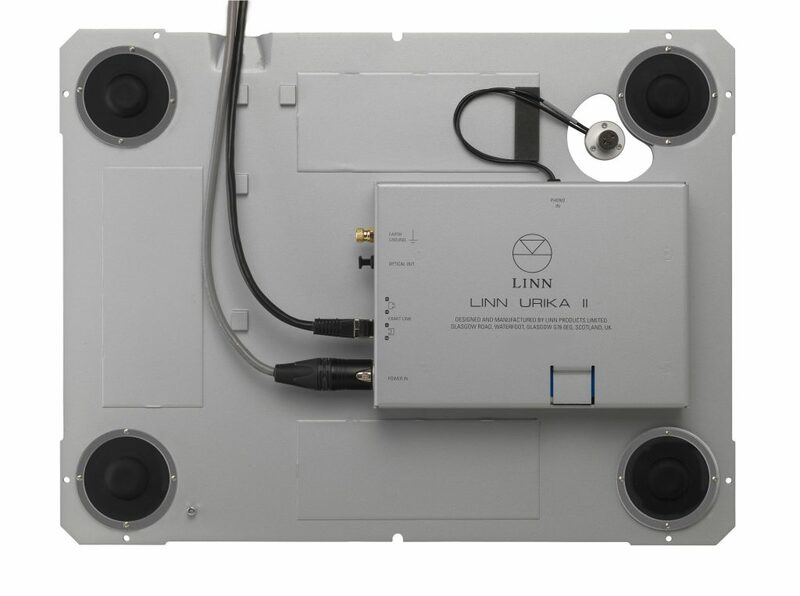 Linn take the same approach with Urika II that they do with their Exakt-enabled loudspeakers. This means they can optimise each and every individual device, correcting the variations inherent in the analogue stage to ensure outstanding performance every time. Urika II can be optimised to work with your preferred cartridge load values. Simply choose from Linn’s list of popular cartridges or enter your own. You can even optimise Urika II for your most comfortable armchair, and easily change when you next upgrade your cartridge. Urika II is powered by Linn’s extraordinary Radikal power supply and is mounted on the integrated Trampolin base board within the plinth of your Sondek LP12 to maintain phono stage isolation and improve deck suspension. The perfect upgrade for Urika, Linn has tested Urika II in incredible detail to measure the difference it makes, and most importantly of all they used their ears to listen! 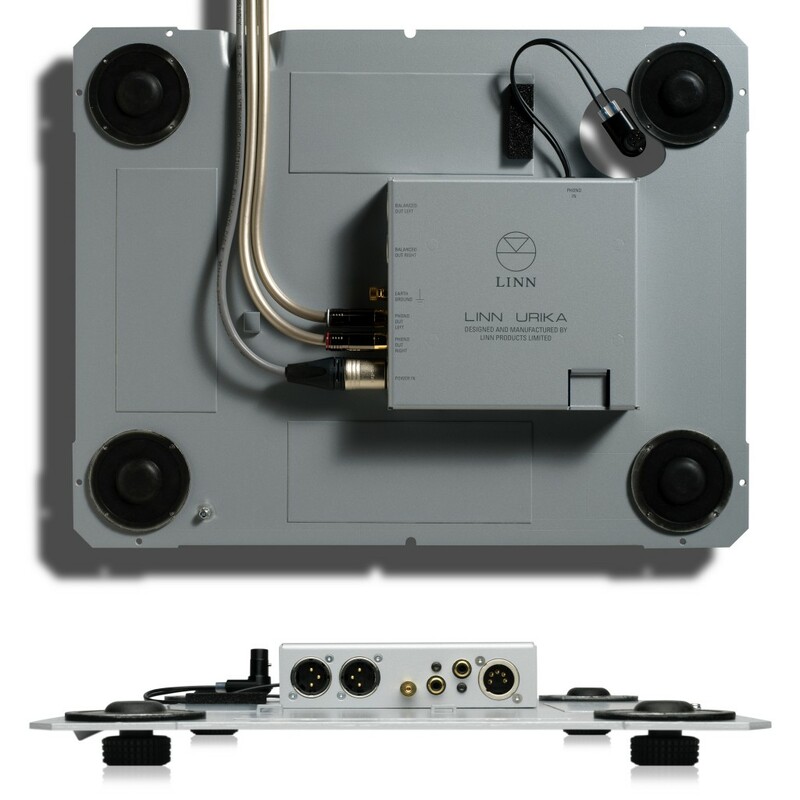 The Linn Urika Moving Coil phono stage is specifically designed for the LP12. Mounted on a modified Trampolin baseboard, the Urika fits snugly inside the plinth, permitting a very short signal interconnect from the arm. This means that signal loss and noise are minimised, ensuring a new level of clarity and detail. The Urika works with the Linn Radikal motor upgrade to deliver a new benchmark in LP12 performance. The Urika features a dual mono design which ensures consistent reproduction of the music on each channel without any potential crosstalk. Direct coupled RCA or transformer coupled XLR outputs allow you to choose the best connection option for your system and guarantees exceptional performance in all conditions. The Urika takes its power from the Linn Radikal DC motor upgrade and they work together to create a vast upgrade to any Linn LP12. The Linn Uphorik is based on the Urika design but is housed separately in its own stand-alone box. It can therefore be used in a wide variety of situations and also with a range of turntables. 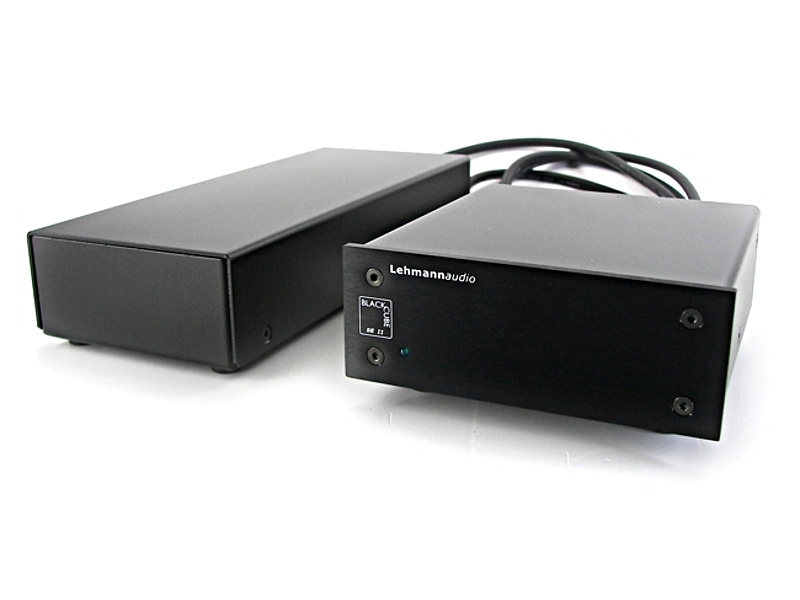 Both Phono and XLR inputs and outputs are available. Comprehensive cartridge loading, both resistive and capacitive, is provided via easy to use dip switches on the underside of the casework and is switchable between Moving Coil and Moving Magnet cartridges for complete flexibility and compatibility. Naim’s reference Superline phonostage is suitable for Moving Coil cartridges only. It employs a floating sub-chassis for additional mechanical isolation from the environment and duplicate phono and BNC sockets are provided for increased versatility. The Superline can be powered from a suitable Naim preamp, or a Naim power supply. Ultimate performance is achieved by partnering the Superline with a Supercap and Burndy cable. Whilst the loading options were fairly limited when the Superline was first launched, Naim’s clever loading plug arrangement allows for the easy insertion of new load values. Peter Swain of Cymbiosis embarked on a series of listening tests and loading experiments to get the best sound from the Superline using a wide variety of cartridges and he posted the conclusions of these tests on Naim’s forum at that time. Additionally, Peter undertook a further series of tests using the Airplug din plug as found on the Hi-Line cable. Using these plugs to house the loading resistors resulted in a big improvement in performance over the standard plug; this was again reported on the Naim Forum. Naim now offer a wide range of loading values for both standard and Airplug loadplugs and further information is available on our accessories page. There are four types of Stageline available: N is for use with Moving Magnet cartridges, K is for Linn Moving Coil cartridges, S is for all other low-output Moving Coil cartridges, and E can be specified for use with Moving Coil cartridges with a higher output. The Stageline can also be specified with either RCA phono inputs, or if you are using Naim’s Aro tonearm, BNC inputs. The Stageline can be powered from a Naim system in a variety of ways, the most basic being via the powered sockets on appropriate Naim Preamps and on some integrated amplifiers and Uniti products. Additionally, a separate Naim power supply like the Flatcap, Hi-Cap or Supercap can be used for even better performance. The reference Aura MC stage is the culmination of decades of electronic design development. Rega have created the ultimate, fully adjustable, three stage, all symmetrical pre-amplifier designed purely to extract the very best performance from your moving coil cartridge and vinyl playback system. Built into a completely re-designed custom case, the Aura is dedicated to moving coil cartridges and stays clear of any compromises. Rega have avoided including any superfluous functions, as they obstruct the signal path and degrade the sound quality. The Aura phono pre-amp incorporates remarkable and innovative design ideas. If you are a vinyl connoisseur, then the Aura MCis an absolute must for demonstration. The Rega Aria is housed in the same shoebox-size casework as the Brio-R and Apollo-R and is the perfect addition to your compact system. What the Aria lacks in size it certainly makes up for in presence. Sitting inside the Aria are two completely dedicated phonostages; one for moving magnet cartridges and the other for moving coil. This allows you to get an amazing sound from any cartridge you wish to use. The moving magnet side of the Aria uses low-noise bipolar input transistors configured as a compound pair. There are two separate power supplies for each channel and further sub power supplies for both of the low-noise input circuits. Nichicon FG electrolytic capacitors have been used in critical positions throughout the power supplies. Polypropylene capacitors have been used in the signal path and equalization networks. Discrete circuitry is used throughout the signal path ensuring full control of the circuit design. The MC side of the Aira uses parallel connected low-noise FETs (Field Effect Transistors) configured as a compound pair. The use of FET transistors ensures there is no bias current flowing in the cartridge coil so as not to upset the delicate magnetic geometry of the cartridge. The MC input has a provision for selecting resistive input loading of 70Ω to 400Ω and capacitive loading of 1000pF to 4200pF. The input sensitivity can be changed by 6dB via the back panel. The Aria MM/MC phonostage is the perfect addition to your existing cartridge and, partnered with the RP6, RP8 or RP10 or even LP12, will get the very best from your analogue system. The advanced version of the multi-awarded Black Cube SE has a lot to offer: based on the SE audio circuit, the SE II has been upgraded with superior sockets, visually it excels by a housing with a faceplate. A bass filter, which can be finetuned extensively to your personal needs, takes the performance of the Black Cube series to a new level. As the proud owner of a Black Cube SE II you will get the feeling as if the music had been composed just for you. There is hardly a system that can be tailored so individually to your listening habits and acoustic preferences like this technical masterpiece. The Black Cube SE II will bring you and your favourite music together even more closely! Virtually all common systems from high-output MM to MC may be connected to the Black Cube SE II. Lehmann have included a free slot per channel for the solder-free fitting of a custom impedance, and there is also an extra hardwired plug-in location with immediate action. Due to a custom-designed toroidal mains transformer with a static shielding, the strong and seriously oversized external power supply ensures a particularly safe operation. Neutrik XLR connectors with gold-plated pins provide the safe contact between audio section and PWX power supply; the cable between audio and power section is shielded. Furthermore, the two housings are made of a non-magnetic material (aluminium) and their top lids are mechanically dampened. After 14 years of service, the DV P75 is now in it’s 4th incarnation and better than ever. 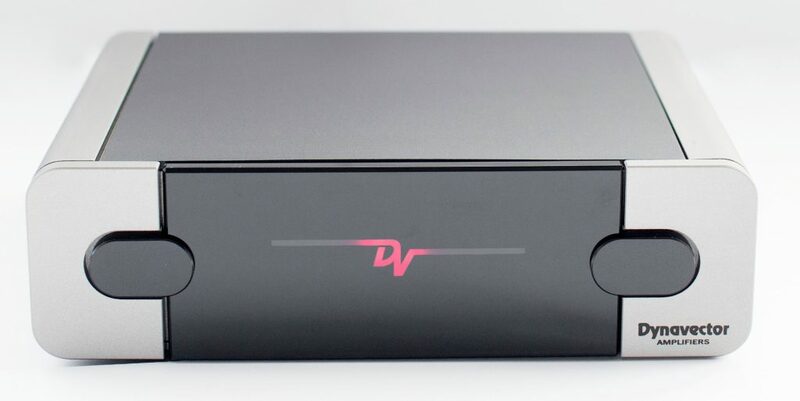 The chassis is larger and in a new guise, a sign of things to come for DV Amplifiers. The real changes though come in the form of power and sound- near zero noise, custom made precision components enabling extreme RIAA accuracy, and a doubling of power efficiency. Compatible with all cartridge types, the P75 mk 4 is here and on demonstration at Cymbiosis. Copyright © Cymbiosis 2019. Built by TJC eMarketing. Something went wrong and we were unable to complete your request.